Styled with solange pant and skylar coat . 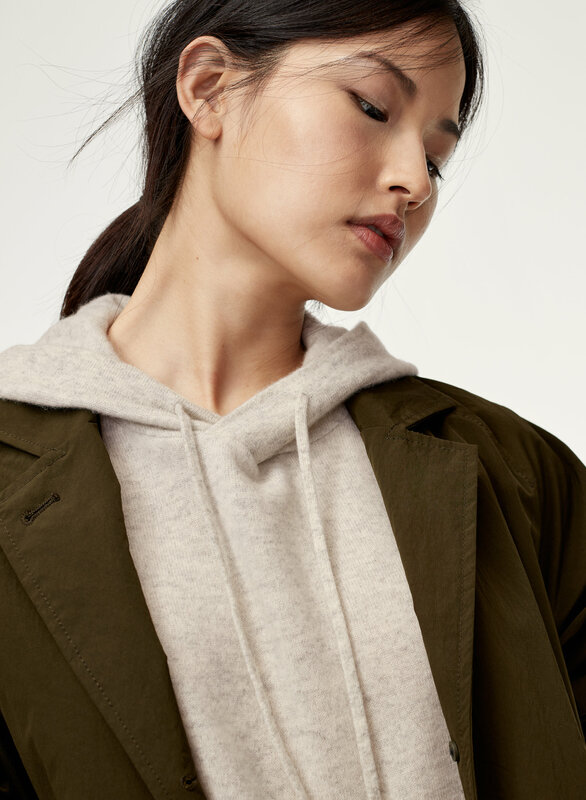 This isn't your average hoodie. It's knit with 100% cashmere yarn that's just right for the season: super soft, light and machine-washable (yes, really). Want to see more cashmere from The Group? Click here. Love the color! Some of the reviews said that it fits slightly larger. However, for me it was perfect, I do prefer a tad of an oversized look. It's super comfortable and cozy! I purchased the pink color. It looks really nice and good quality. It goes well with all of my high waist pants. 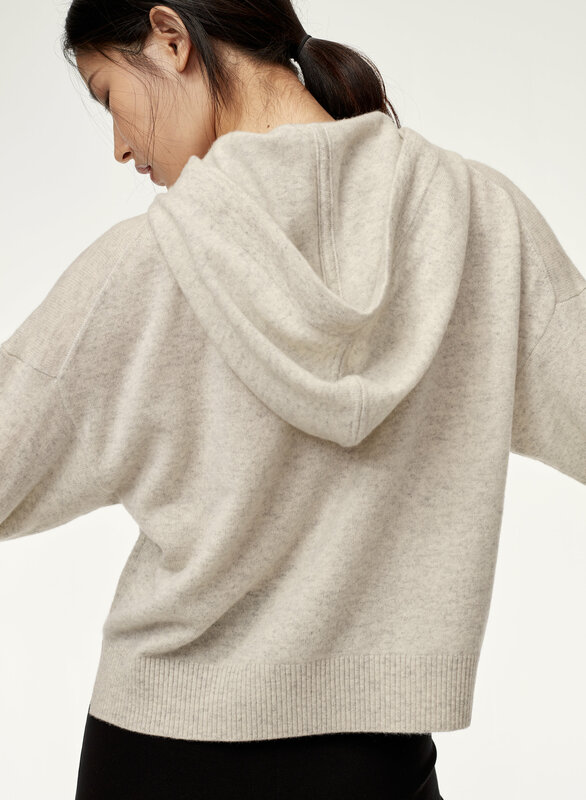 This is a super cute and soft sweater. Because its cashmere you can also dress it up or down. I know its a bit pricey but it is definitely with the splurge. Treat yourself and you wont be disappointed. I am 5'1 and 105 pounds. I purchased a xxs in the Heather Camel colour. Fits slightly oversized. I bought this in-store without trying it on, and it is PERFECT! 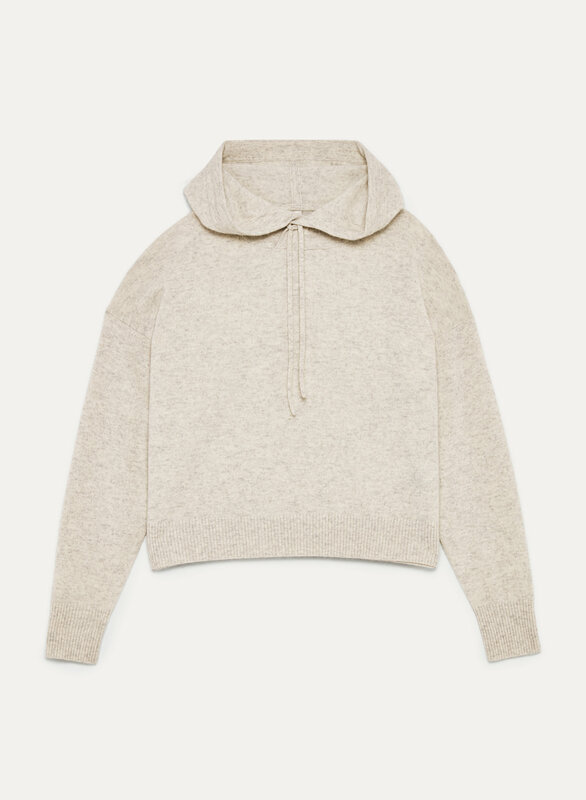 I got a size small in the Heather Twine (sold out) for a little comfy-loungier look. I have not taken it off since I got it in the mail. TOTALLY worth the cost. The sweater fit a little short but with my height I assumed it would. Thicker than expected but still a nice light weight, just a higher quality cashmere. Super soft and a nice casual shape that can be easily worn for work or play. Got the camel coloured one, a favourite to wear with white jeans and looks more dressed up with a leather jacket and booties. Perfect Sunday outfit! Note that the length is slightly oversized and cropped, but thankfully not too short. Removed 1 star for slight shedding and pilling, but this is easily resolved and not enough to a degree that I think is problematic.